Here is the latest installment of the Up Close series, featuring the day-to-day work of the School and the people who do it. Boston in January isn't the most appealing of locales. By the time this is published, the city will have seen freezing rain, hail, snow, sleet, and one day's high temperature of 7 degrees Fahrenheit. It’s reasonable to think that one might not leap at an opportunity to visit, or that those already here might eagerly grab an opportunity to escape. But that’s not what upwards of 700 MBA students and dozens of alumni and executives chose for the week of January 22–25. They opted to engage in Short Intensive Programs (SIPs), no-credit, no-fee elective courses now being offered for a second year. 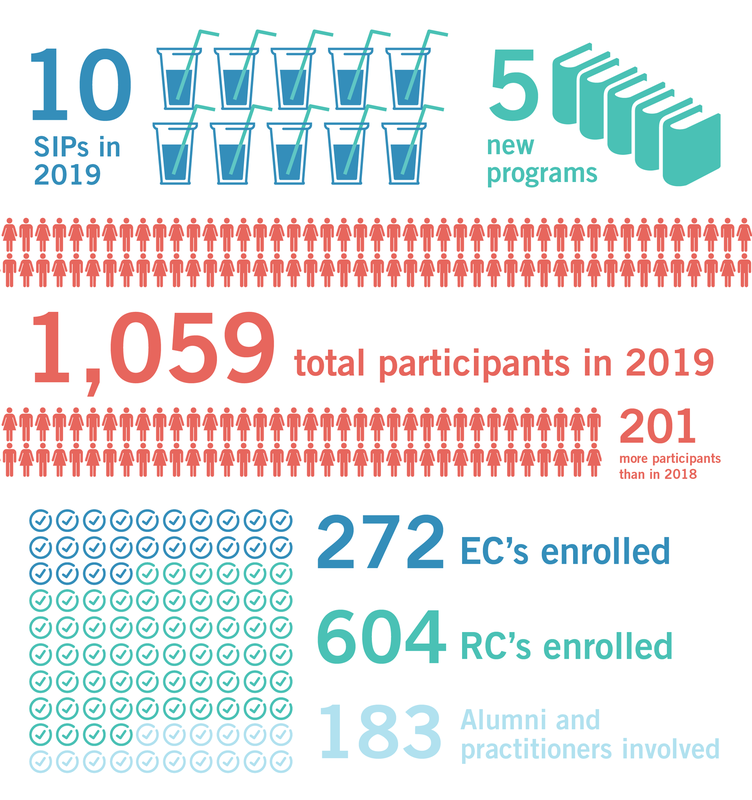 The 2019 SIPs curriculum comprised 10 courses and included such classes as Africa Rising: Understanding Business, Entrepreneurship, and the Complexities of a Continent; Building Sports Businesses; The Life and Role of the CEO; How to Talk Gooder in Business and in Life; and HBS Startup Bootcamp, a precursor to SIPs that is now integrated into the program. The classes ran over four days (Bootcamp for nine days), and included at least one dinner and evening program. Professor Felix Oberholzer-Gee conceived of the SIPs idea several years ago when he was the faculty chair of the MBA program. As HBS reexamined the MBA curriculum and shifted FIELD Global Immersion to the end of the second semester, there was open space in January for an additional educational experience. “I wanted to offer students a different perspective on a topic that they could choose,” says Oberholzer-Gee. “I also wanted to mix first and second year students, and to engage alumni and executives.” He sent out an exploratory survey to students, and to his surprise, hundreds responded. “I thought maybe 40, 50 students might be interested,” he laughs. Reaction from alumni and associated executives was similarly enthusiastic. “We're often in conversations with people who would like to give back, to interact with students, but it's relatively hard to do in practice,” says Oberholzer-Gee. A one-week course represented the perfect vehicle to bring together faculty, alumni, experts in the field, and MBA students. “One of the things that was most gratifying for me was that last year, several students said it was one of the most impactful courses they had at their time at HBS,” says Prof. Elkins. “In part because of being able to engage with the protagonists themselves, but also because we set a real ethos of inclusion and of seeking an unvarnished version of success. We want these young MBAs to see that these towering figures really wrestled with failure, with success, with thorny experiences. And they impart pearls of wisdom.” Elkins and Belo-Osagie are already eagerly planning next year's curriculum.